Comments: Leather Seats, Sunroof, 20 inch Aluminum Wheels! This ivory coat SUV has a 8 speed auto transmission and is powered by a 475HP 6.4L 8 Cylinder Engine. Our Grand Cherokee's trim level is SRT. This ultra capable Grand Cherokee SRT is undoubtedly at the pinnacle of it's craft. One look at this beast and you'll understand why it's caught the automotive community by storm. Features include a high performance suspension system with adaptive ride control, aggressive alumium wheels and tires, heated and cooled Nappa leather and suede seats, a huge 8.4 inch colour touch screen with navigation and a power sunroof. You'll also get a power liftgate for added connivence, adaptive cruise control with lane departure warning and parking sensors, voice activated dual zone climate control, 4G WiFi, SiriusXM plus so much more. This vehicle has been upgraded with the following features: Leather Seats, Sunroof, 20 Inch Aluminum Wheels. 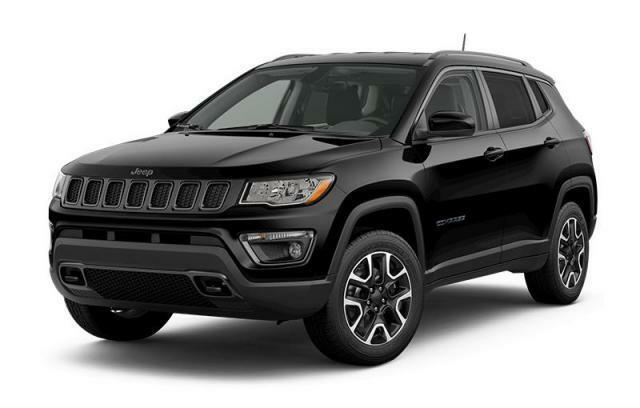 View the original window sticker for this vehicle with this url http://www.chrysler.com/hostd/windowsticker/getWindowStickerPdf.do?vin=1C4RJFDJ2KC576636. Total rebate of $6335 is reflected in the price. Credit includes up to 7.5% of MSRP Discount. 4.29% financing for 96 months. Buy this vehicle now for the lowest bi-weekly payment of $470.66 with $0 down for 96 months @ 4.29% APR O.A.C. ( taxes included, $725 Fee includes - Administration, Air Levy, Tire Tax and FREE tank of fuel. / Total cost of borrowing $15089 ). Incentives expire 2019-04-30. See dealer for details.